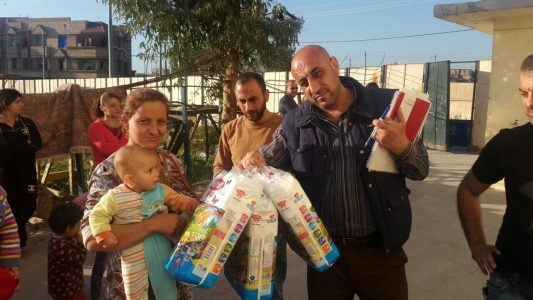 A group of women pose with their children after receiving their diaper supply. 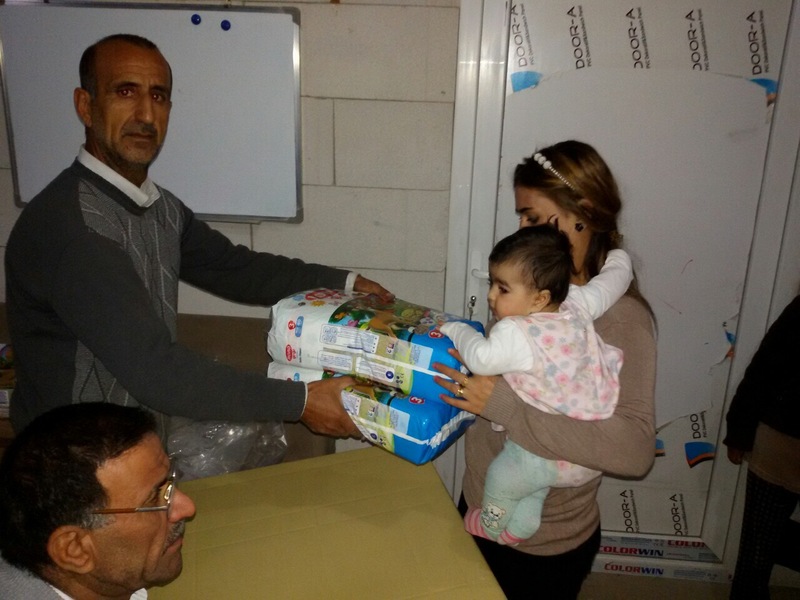 The Diapers for Refugees program kicked off its third delivery of the year a few weeks ago. 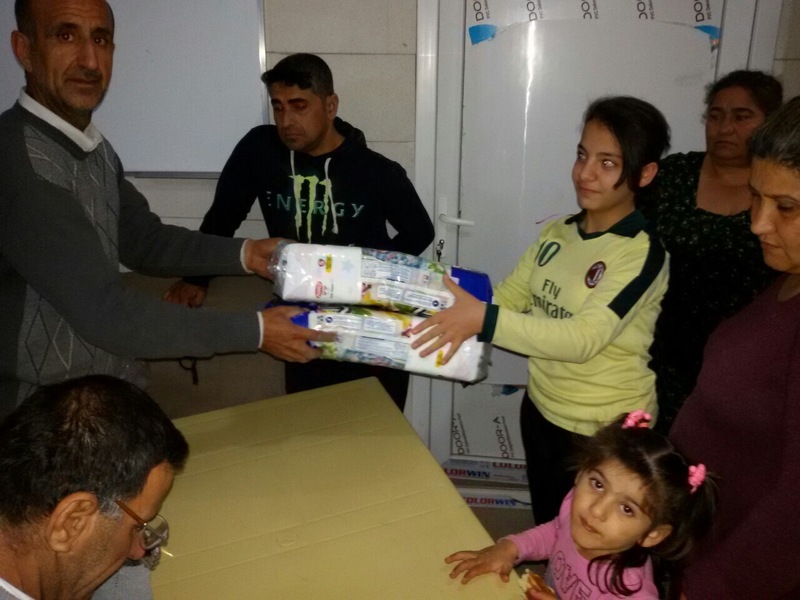 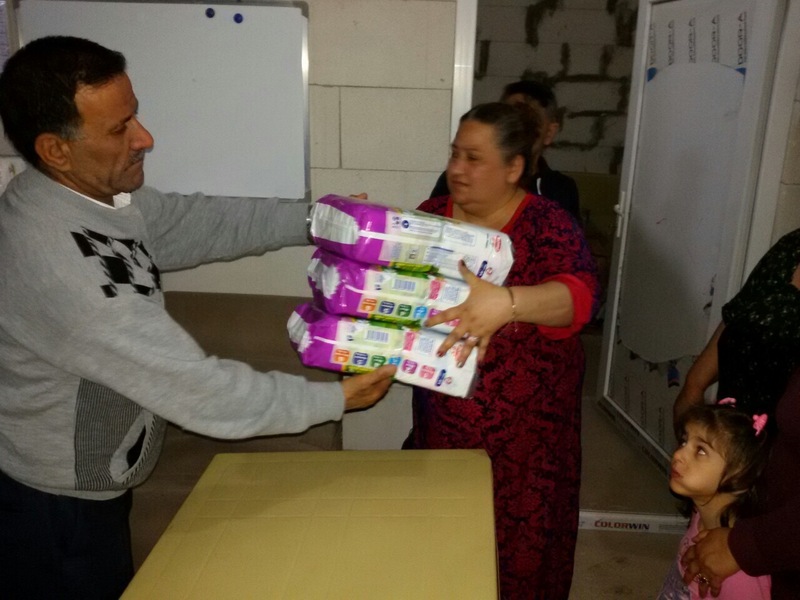 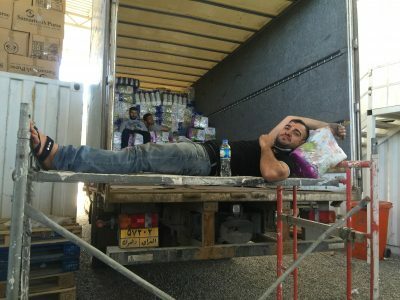 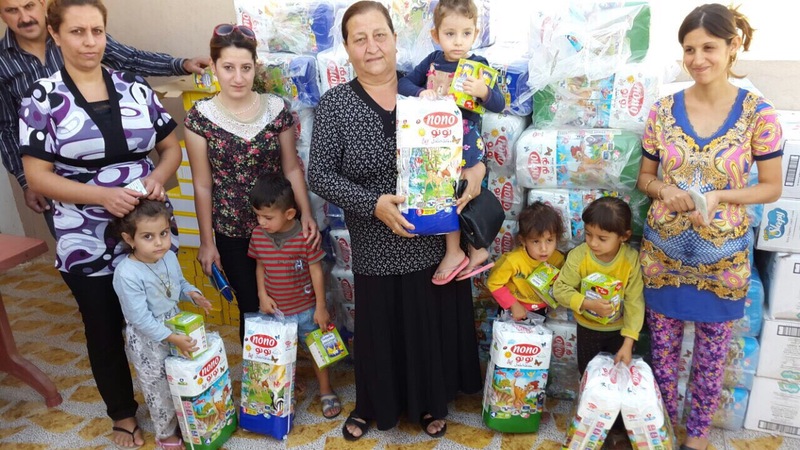 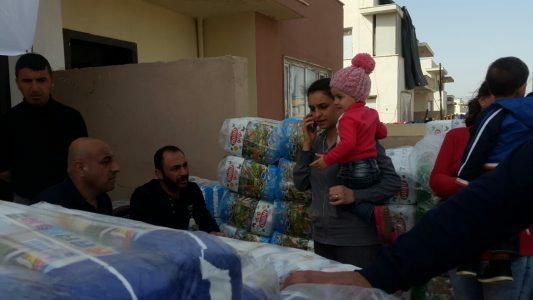 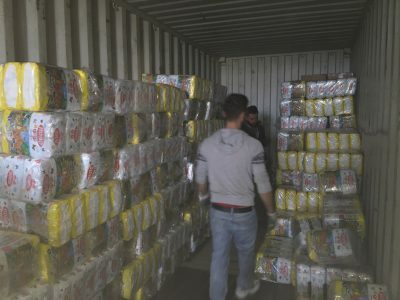 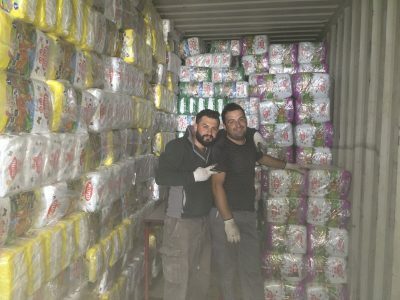 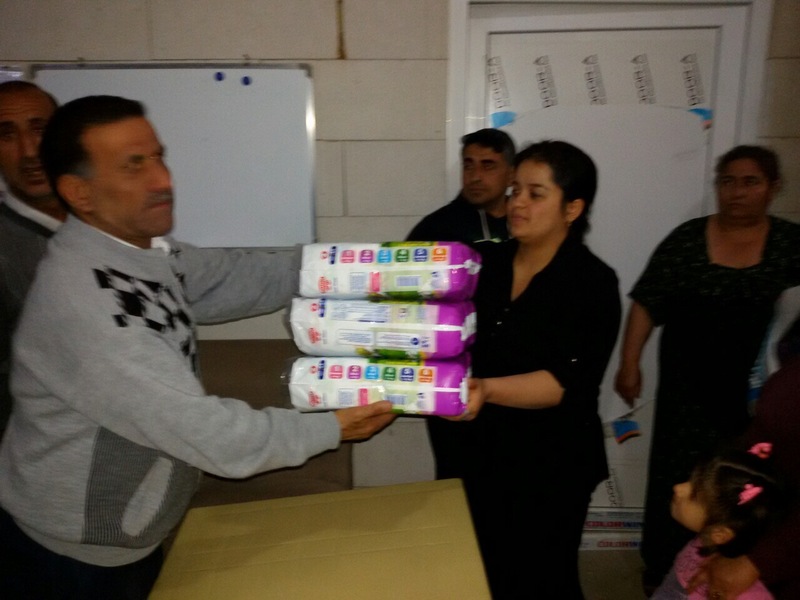 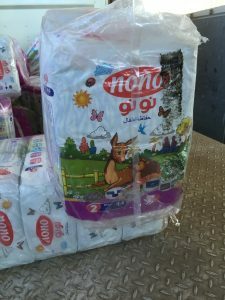 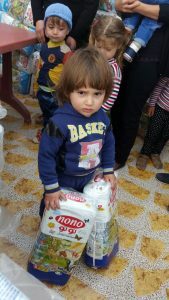 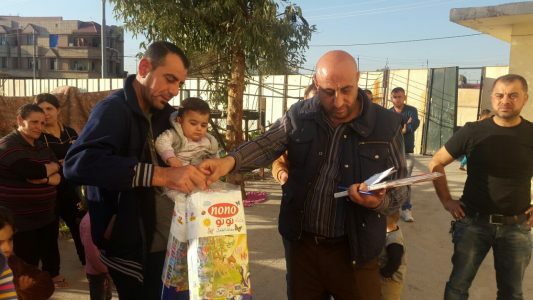 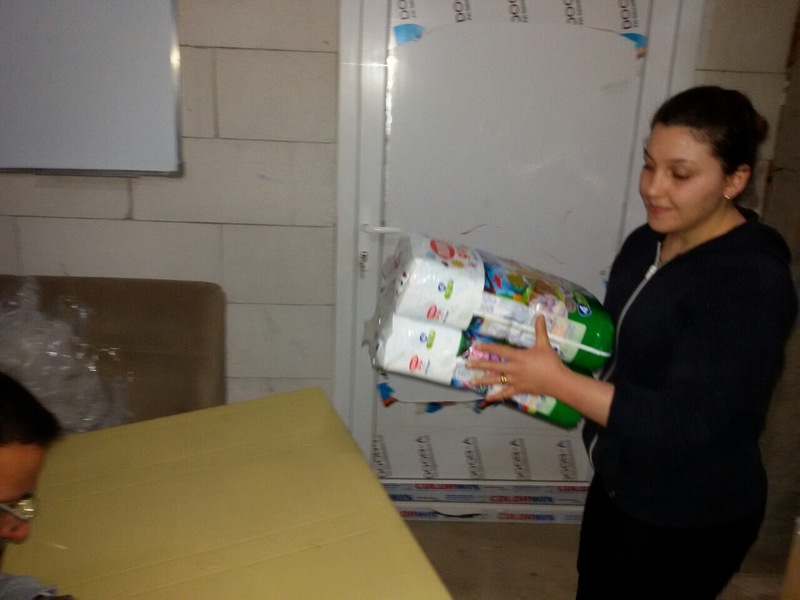 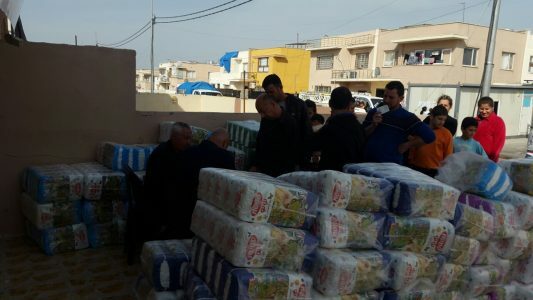 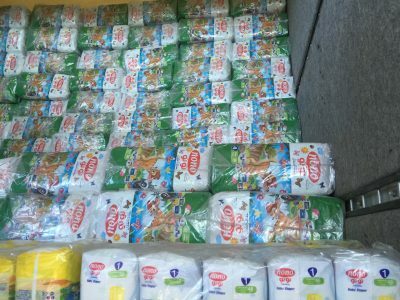 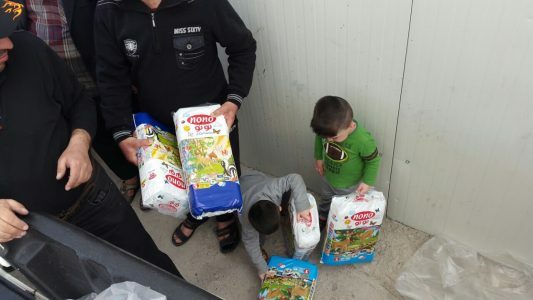 This shipment of diapers was delivered to displaced Christian families in the Ankawa-Erbil area, where we have several distribution sites. 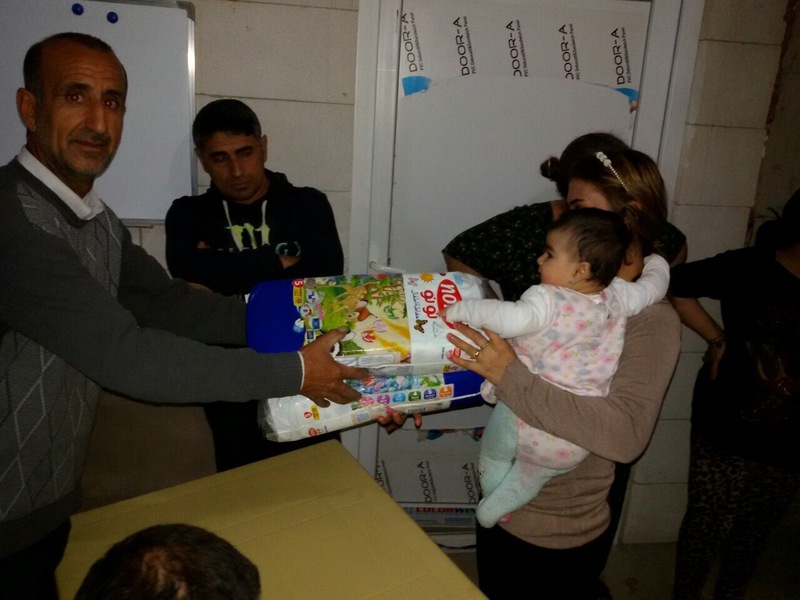 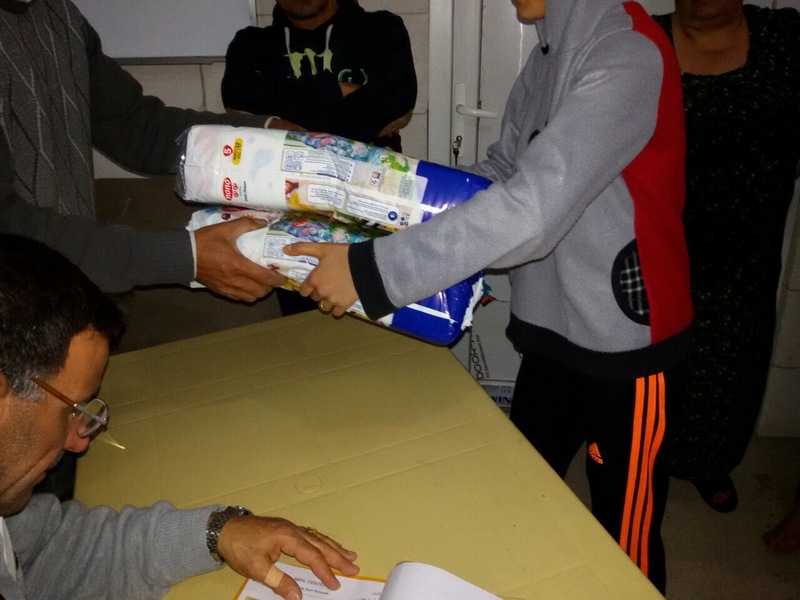 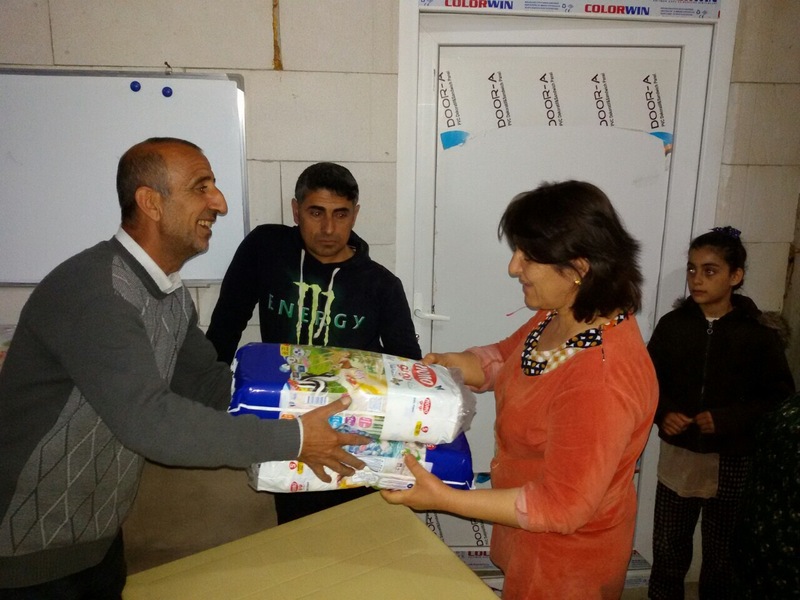 Just like the previous deliveries, the diapers were distributed to those with the greatest need. 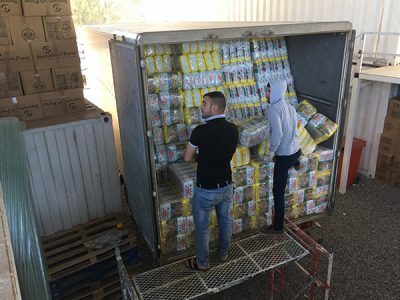 This month’s shipment was delayed due to Dhū al-Ḥijja, a Muslim holiday, causing a delay in the delivery. 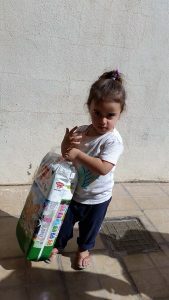 A little girl stands with her diapers. 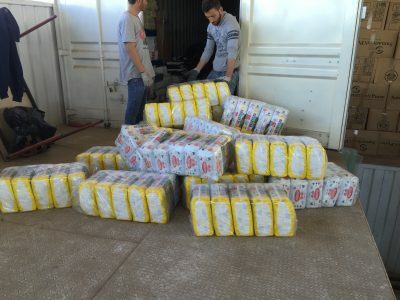 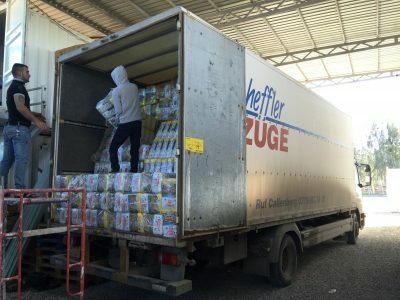 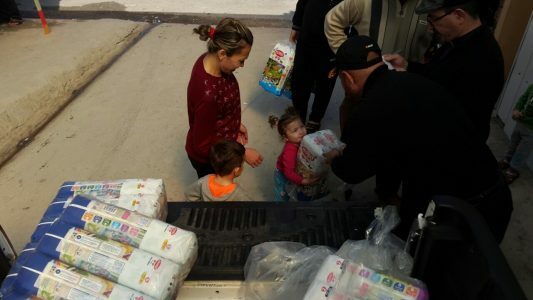 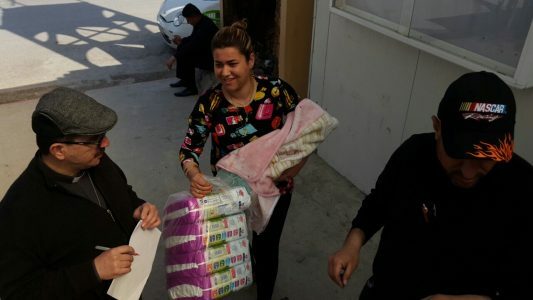 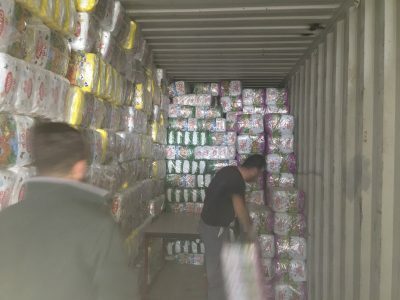 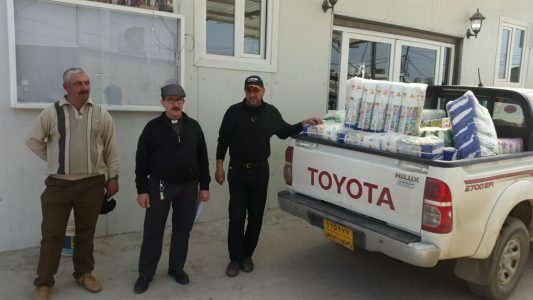 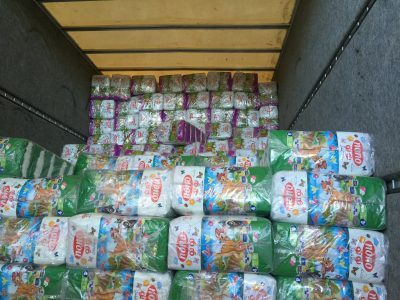 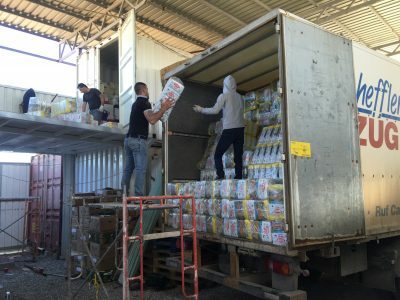 Currently the Diapers for Refugees program is delivering 160,000 diapers of five different sizes every three months although monthly deliveries are planned funds permitting. 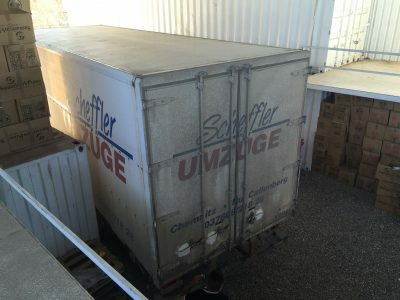 The cost of a single shipment is $18,000 or just 11 cents each. 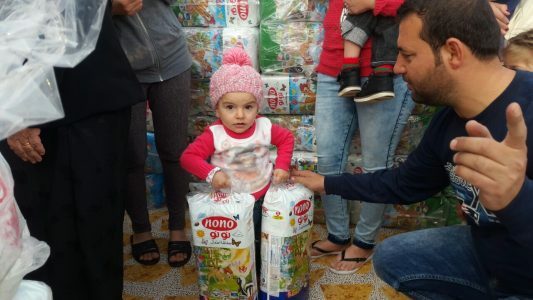 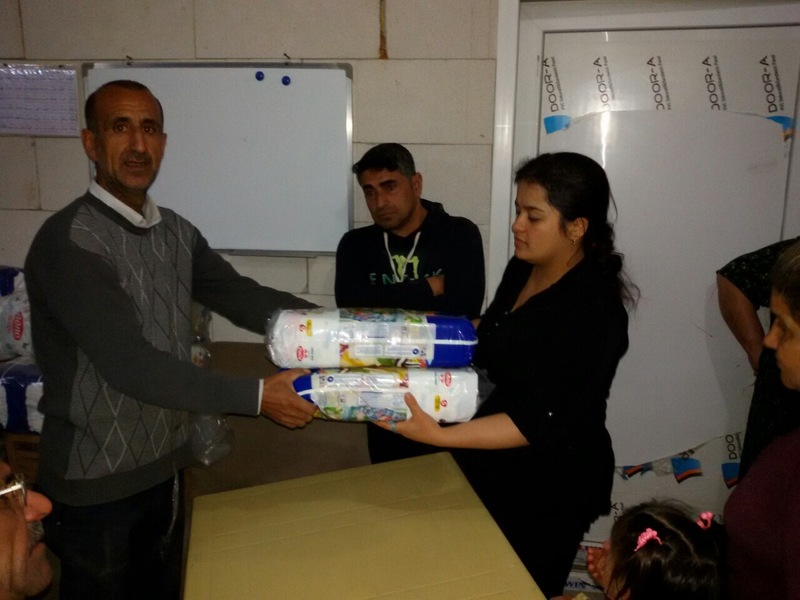 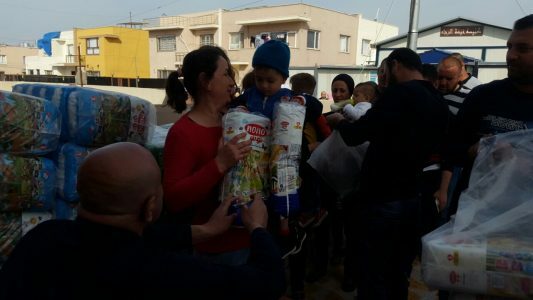 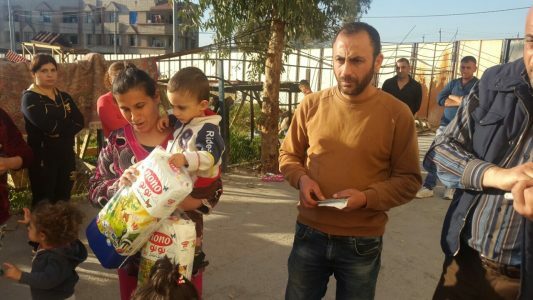 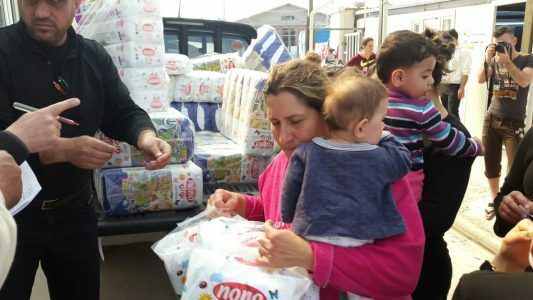 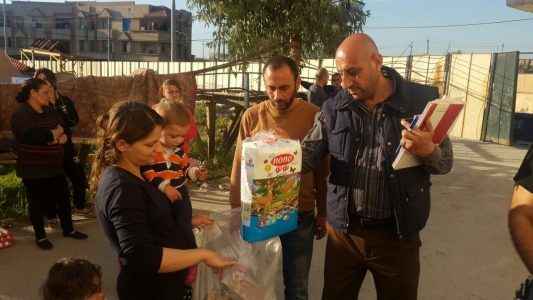 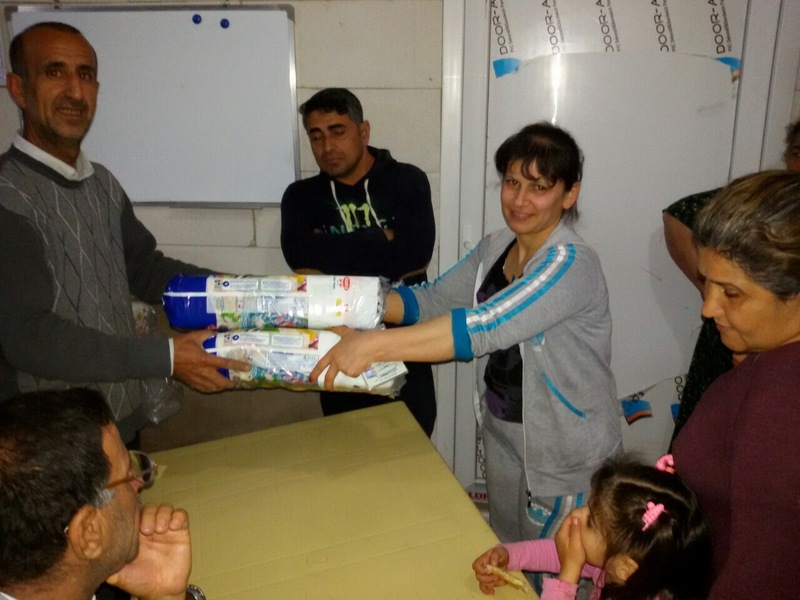 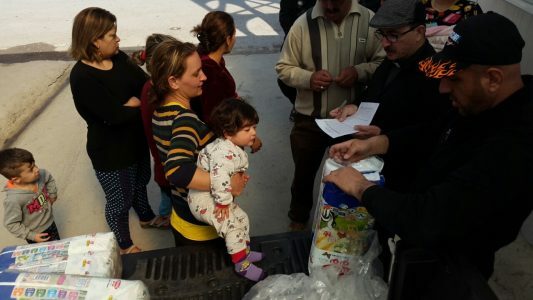 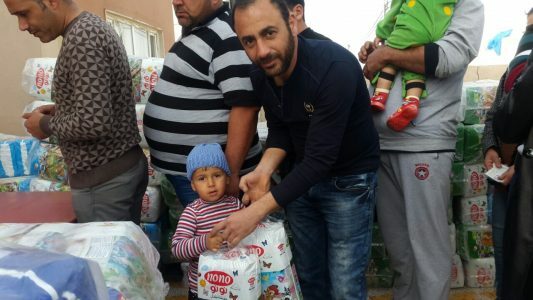 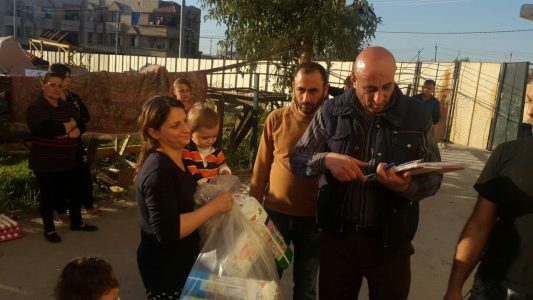 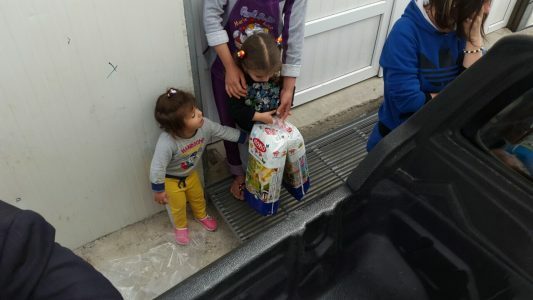 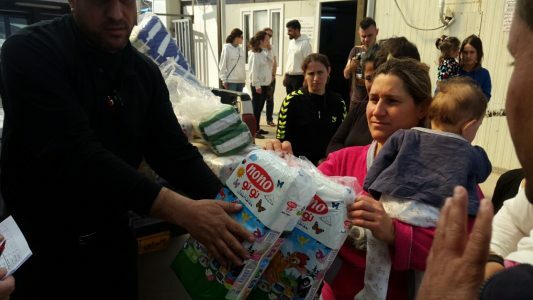 As the Diapers for Refugees program is aided at Christians who have been declared victims of genocide by the United Nations, the United States and the European Union. 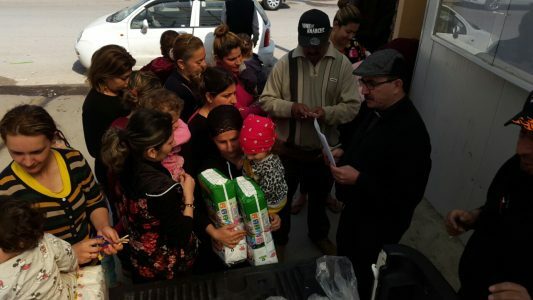 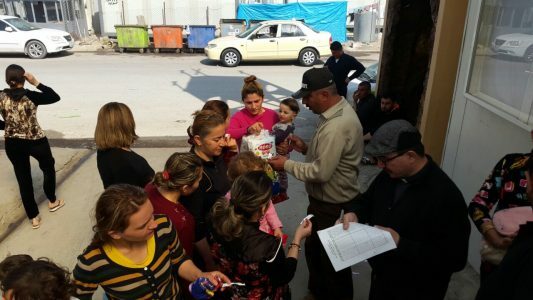 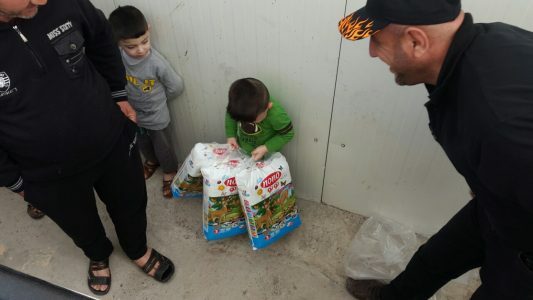 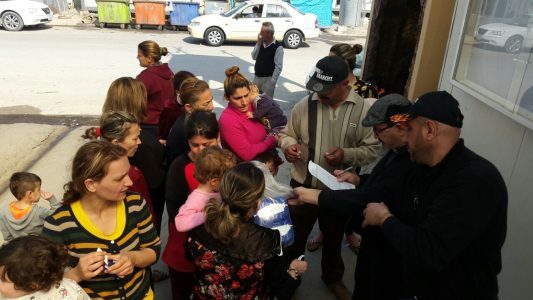 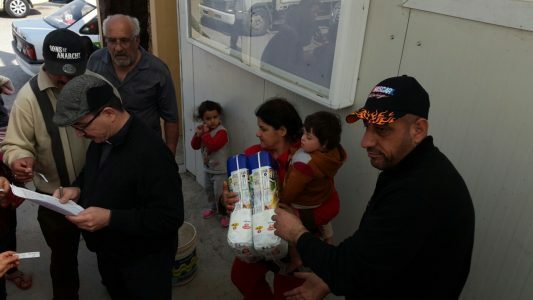 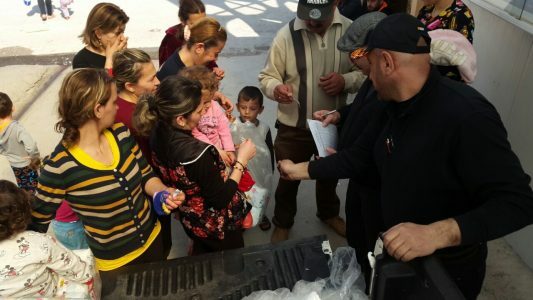 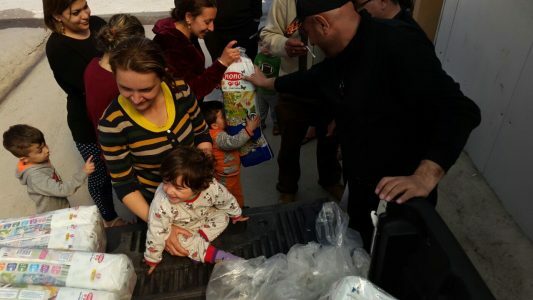 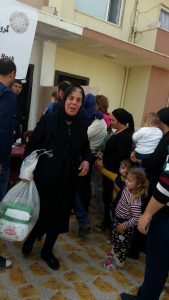 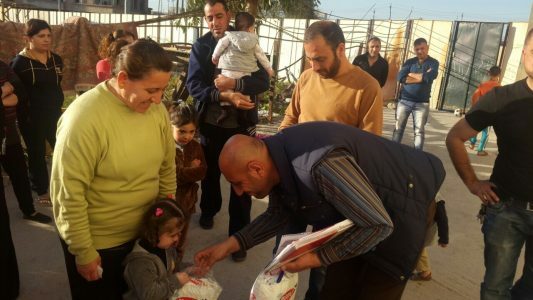 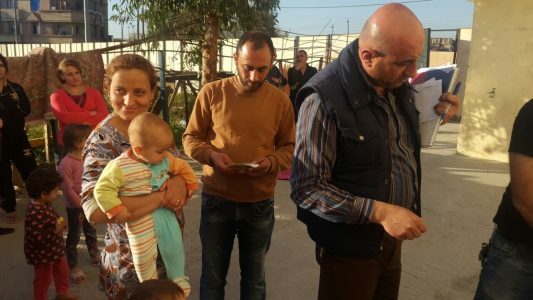 All funds must be privately raised as officially the displaced Iraqi Christians are not considered refugees as long as they still reside in Iraq, even though they have been forced from their homes, have no jobs, and entire families live in single rooms or in tents. 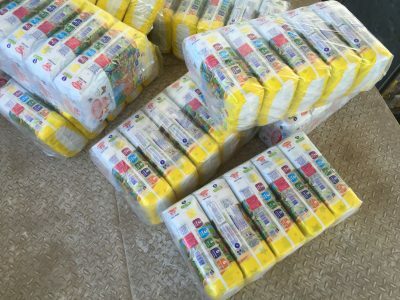 The diaper program has been very uplifting for me because we are literally changing lives with the program. 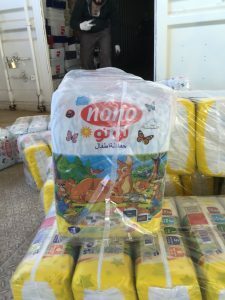 Babies who were in pain with rashes and open sores, or who had no diapers at all, can now play and sleep in clean safe diapers. 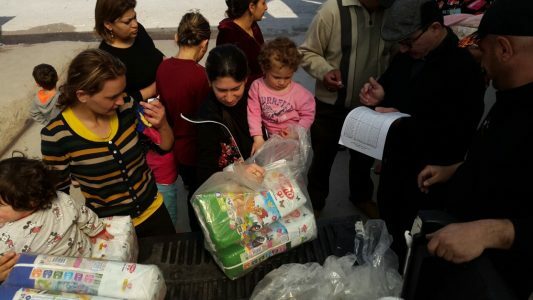 The mothers know other Christians care about their families. 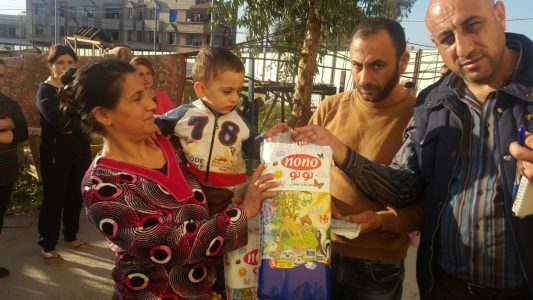 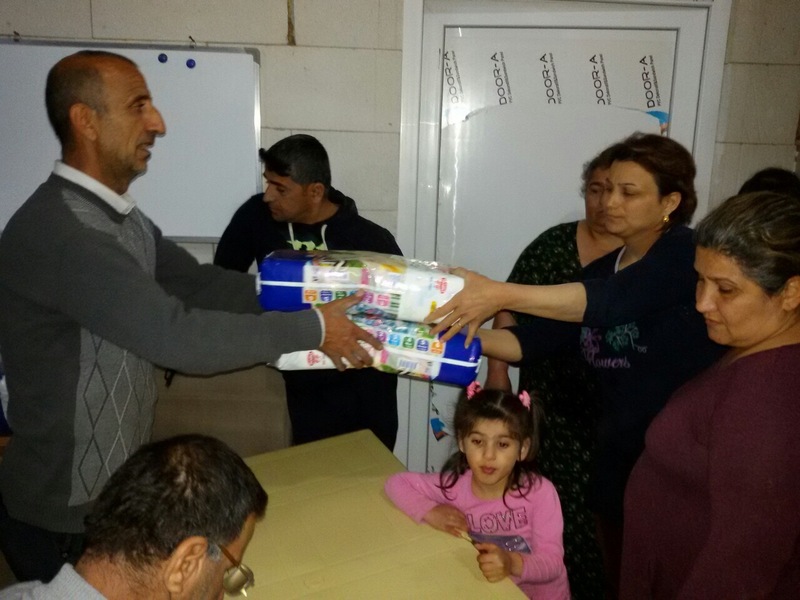 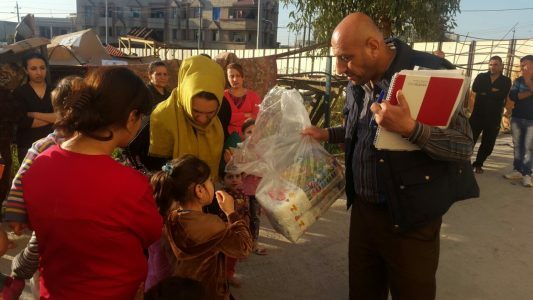 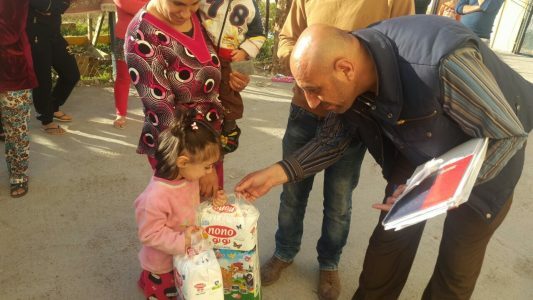 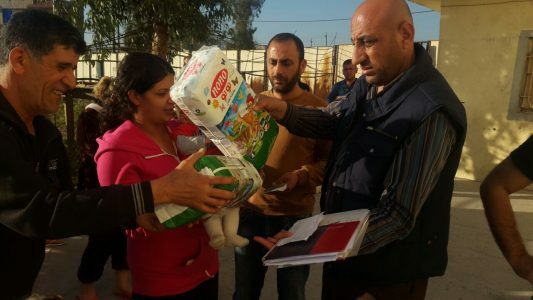 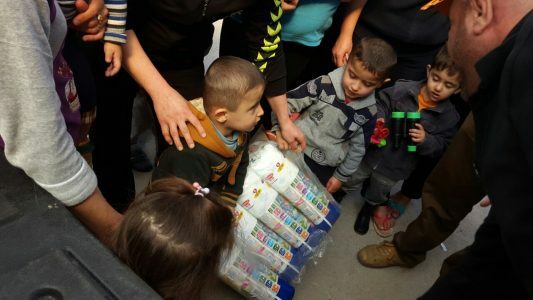 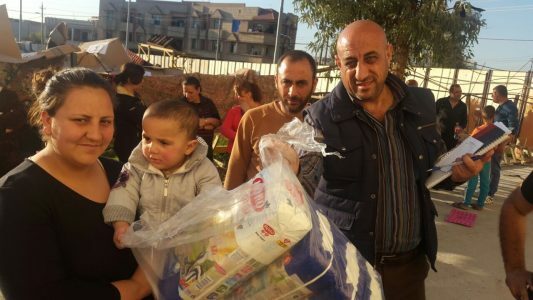 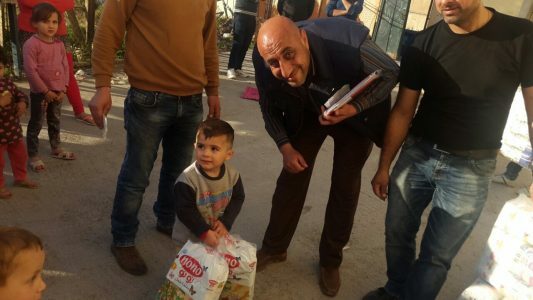 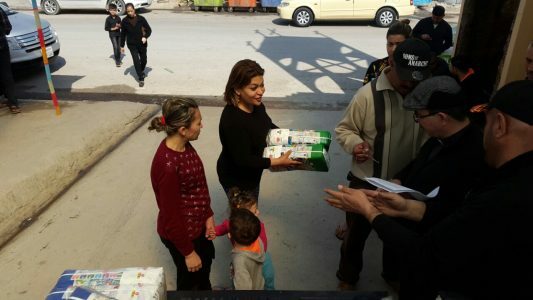 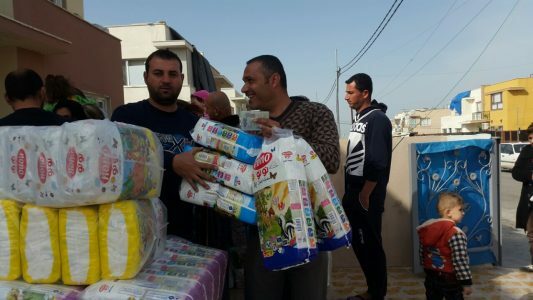 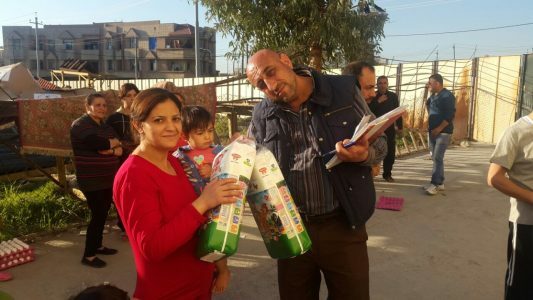 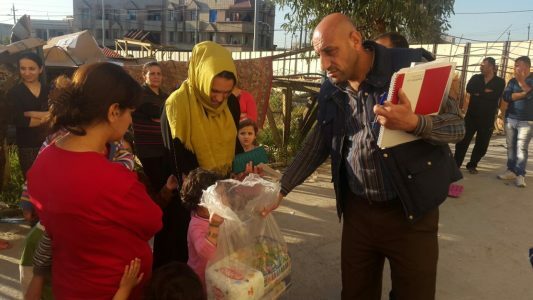 I would like nothing better than to continue the Diapers for Refugees program and expand it to more displaced Christian families in Iraq. 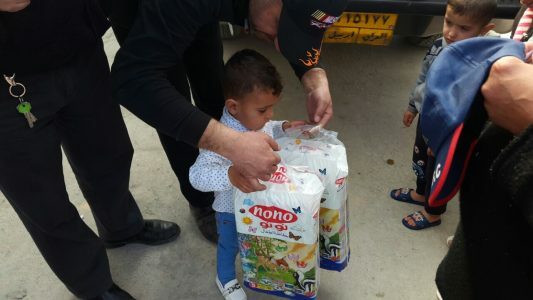 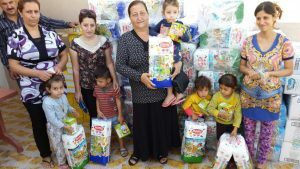 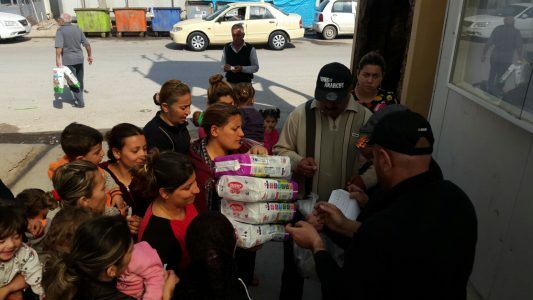 Please pray with me that we will have funds for another shipment of diapers to families in Iraq in December. 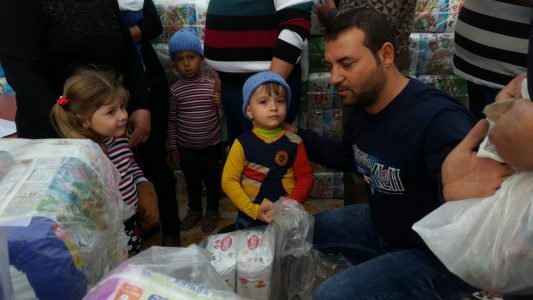 Learn how you can help. 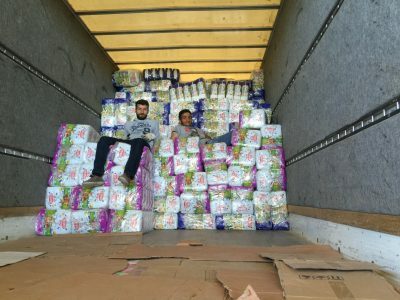 One Million Diapers in 2018! 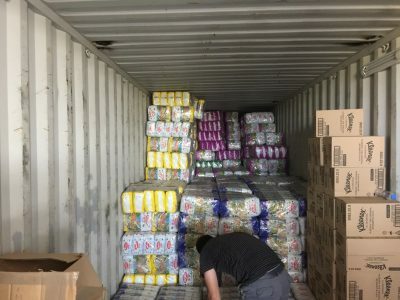 Placerat vel augue vitae aliquam tinciuntool sed hendrerit diam in mattis ollis don ec tincidunt magna nullam hedrerit pellen tesque pelle.